SPORT: Ken Whiteside got off to a flying start this morning catching into double figures before some anglers had got started. 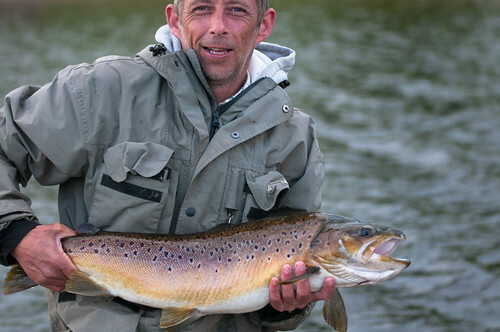 Ken fished in Hollins Bay, Two Trees, Barn Quarry and Hartleys with a floating line and his own pattern called a UDF. To more specific he caught on a WUDF and BGUDF? I think the W stands for white and BG stands for black n green but that’s all I know. The lures have served him extremely as he regularly catches into double figures. Ken’s bumper catch today included rainbows blues and browns. Good Angling. Also on the shore Rudolph Quagliana caught six trout on dabblers from Bell Point, Paul Ding caught six in Hollins on Buzzers and Alfred Stevens caught three fish for 13lbs from Bell Point on Cats whiskers. Out on the boats top rod was Paul Bebb who caught 10 trout on Dries from the Dam area. Keith Charnock had a good day with eight trout to cats boobies from the Northern end of the reservoir and Dave Moodie took 7 trout on Diawl Bachs, he was also fishing at the Dam. The majority on boat anglers were on half day tickets today. The weather looks fantastic over the next few days so it might be worth a trip out. We still have plenty of boats available except for Saturday. It’s also worth noting that Bank House is fully booked this Saturday so please spread the word if you know anyone is planning to come. This entry was posted in Stocks Reservoir Fishing Reports on June 11, 2014 by Ben Dobson.